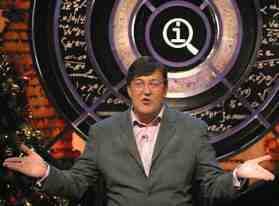 The BBC has apologised after Japan’s embassy complained over jokes on an episode of comedy TV quiz show QI. Presenter Stephen Fry described him as the unluckiest man in the world. Stephen Fry has been summoned to the Polish embassy in London on Monday to provide the ambassador with an explanation of his supposedly offensive comments last month about about Auschwitz. Yes, he is having lunch at the embassy, confirms a spokesman for the Polish ambassador, Barbara Tuge-Erecinska. This meeting is connected to Mr Fry’s remarks on Channel 4. They will discuss a range of issues. In a debate about the Conservatives’ links with Poland’s Law and Justice party, Fry appeared to accuse Polish Catholics of being complicit in the Final Solution . Remember which side of the border Auschwitz was on, he said. The Polish embassy had accused Stephen Fry of slander after he suggested Poles had played a role in the Holocaust. He made the comments on Channel 4 news while talking about the Conservative Party’s links with Poland’s Law and Justice party. The party has members that have faced accusations of anti-Semitism and homophobia, and Fry appeared to hint that Poland may hold some responsibility for the mass murder of European Jews. Let’s face it, there has been a history in Poland of right-wing Catholicism, which has been deeply disturbing for those of us who know a little history, and remember which side of the border Auschwitz was on, he said.